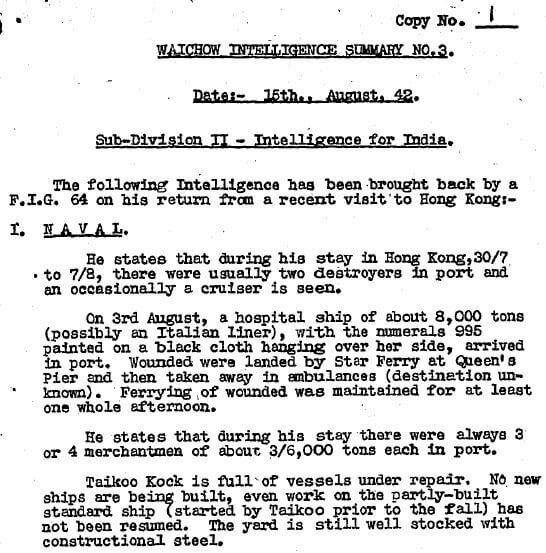 Elizabeth Ride has sent the Naval section of a British Army Aid Group (BAAG) Waichow Intelligence Summary (WIS No.3) dated 15th August 1943. 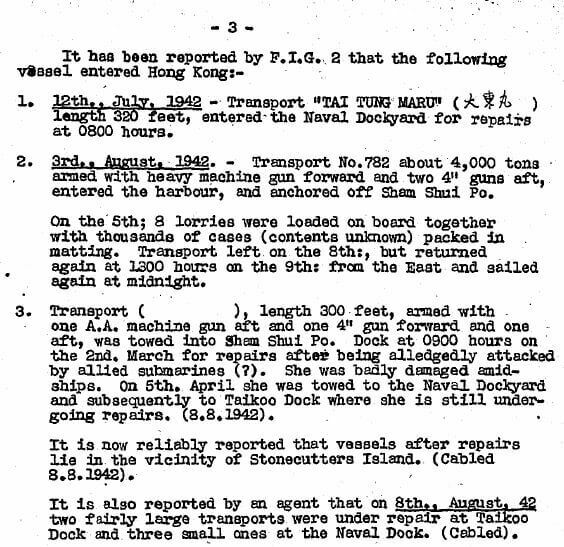 This covers shipping movements in and out of Hong Kong during the Japanese occupation in World War Two during July/August 1943. 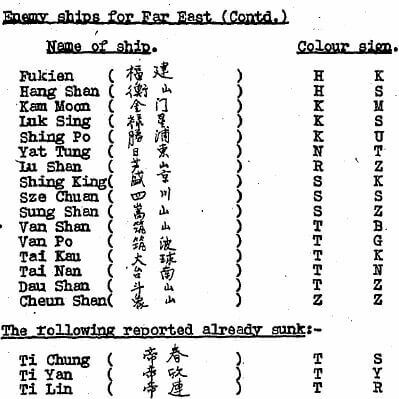 Secondly, the names of Ships mentioned. This has not been easy. My inability to read Chinese or Japanese is a clear hindrance. 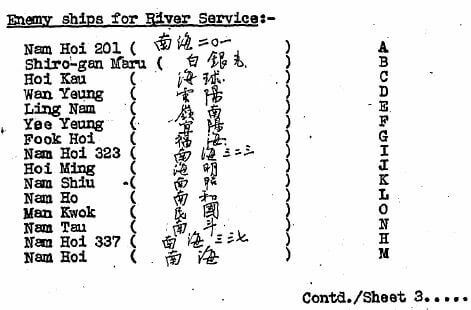 Plus even when in English whether typed or handwritten they are sometimes semi-legible. Any corrections or clarification would be helpful.